Courses on Latin American post-colonial literature, medieval Italian poetry, or Jewish Identities in France will not only intrigue you intellectually, they will also equip you to understand how culture and history have informed the modern world. In the future, it will be of vital importance to understand how different people, both beyond and within our borders, see the world. Our connections with programs such as Latin American Studies, International and Global Studies, African and African-American Studies, Medieval and Renaissance Studies, and European Cultural Studies help ensure that your course work in Romance Studies is connected historically, culturally, and politically both with other areas of study and with the complex world in which you will live and work after leaving Brandeis. Our graduates go on to work in a many different fields, ranging from international development, teaching, and finance, to public health. In all of these fields, the sort of cultural awareness you'll get from our language, literature, and culture classes will help you develop a truly international point of view. Even more, however, you'll take away an intellectual experience that will last with you the rest of your life. We invite you to investigate our offerings on our website and then get in touch with one of our Undergraduate Advisors or Undergraduate Departmental Representatives. 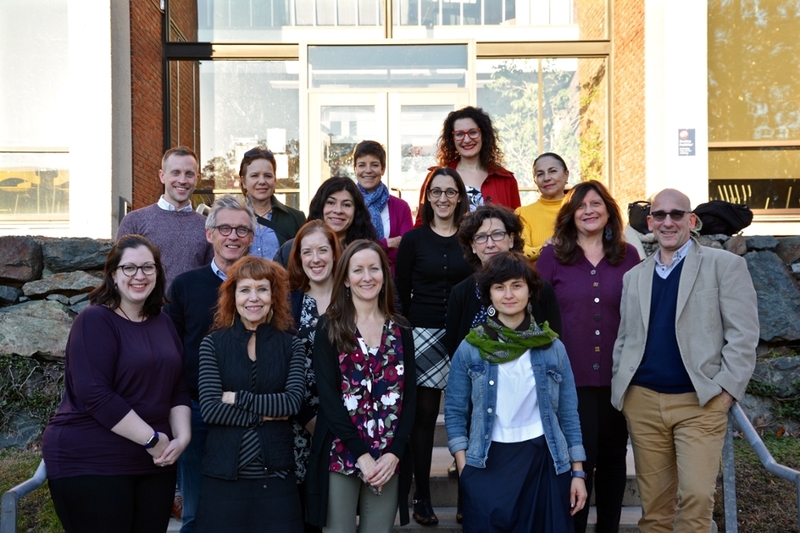 Back Row, left to right: Andrew Sewick (Hispanic Studies), Raysa Mederos (Hispanic Studies), Hollie Harder (Director of French and Italian Language Programs, French and Francophone Studies), Carmelinda Chilelli (Hispanic Studies), Mary Burstin (Hispanic Studies).Middle Row, left to right: Michael Randall (Undergraduate Advising Head, French and Francophone Studies), Kristen Turpin (Hispanic Studies), Lucía Reyes De Deu (Hispanic Studies), Elena González Ros (Director of Spanish Language Program, Hispanic Studies), Martine Voiret (French and Francophone Studies), Paola Servino (Co-Chair and Undergraduate Advising Head, Italian Studies), Fernando Rosenberg (Chair of Romance Studies, Hispanic Studies).Front Row, left to right: Katie Dickinson (Academic Administrator), Ellen Rounseville (Program Coordinator), Catherine Theobald (French and Francophone Studies), Gabriela Nenciu (French and Francophone Studies).Missing from Photograph: Jerónimo Arellano (Undergraduate Advising Head, Hispanic Studies), Laura Brown (Portuguese), Clémentine Fauré-Bellaïche (French and Francophone Studies), Jim Mandrell (Hispanic Studies), Silvia Monteleone (Italian Studies).